What Bed Size Should You Get? Comfort is the key to quality sleep. That’s why people spend tons of money making sure that they get quality sheets, quality pajamas, and of course, a quality bed. When it comes to beds, however, it’s not always the type of bed that you’re sleeping in or how firm it is. It’s also about the size. A bed has to be the right size so as to be not to be too expensive for you, give enough space for you to move around inside your room, and of course, have enough real estate for both you and your partner. 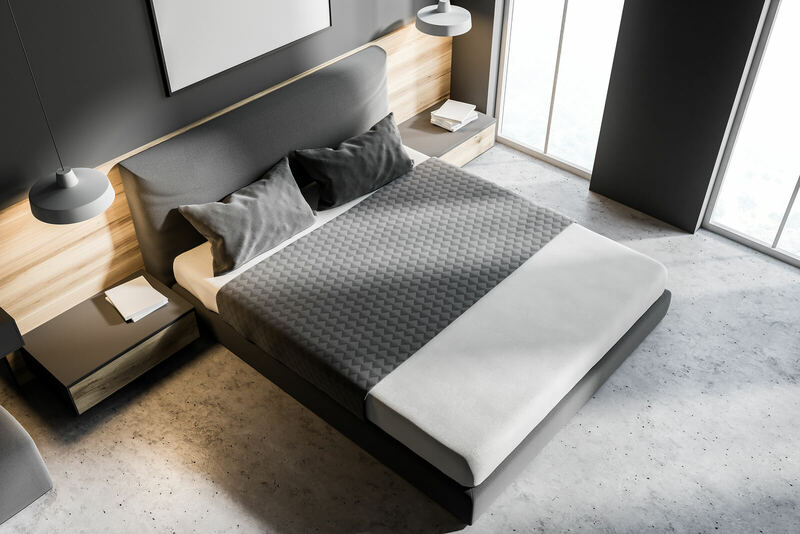 Having said that, we’ve compiled a couple of tips to help you decide whether or not you should go with a double, queen, king, or a single size mattress. Go with a queen. Queens are generally large enough for couples who want to cuddle up and yet have enough wriggle room. On average, each person gets around 30 inches of horizontal space to sleep in by using a queen bed. That’s a lot, in case you don’t know. At the same time, it’s not wide enough to make you and your partner feel physically separated. Pocket spring mattresses will let both of you sleep together comfortably without being affected by each other’s movement. Get a full-sized mattress. Queen-sized mattresses are six inches wider compared to full-sized mattresses, which means they are a bit more roomy. That’s great if you want more space to sleep in. But for couples who really like to cozy up with each other, a full-sized mattress makes for a lot more intimacy with each other. Just make sure to measure its length. Not all full-sized mattresses are of the same length, and sometimes they can be too short for people who are taller than the average. Then go with a king-sized mattress. There’s no way you can go wrong with that. Each sleeper gets 38 inches, compared to the 30 with a queen sized bed, and that’s a lot of space to spare. You could even fit in another person in there just fine, which is great for parents who plan to sleep with their infant or toddler. The thing with mattresses is that they are very personal, and sometimes, what one sleeper likes, the other doesn’t. In such cases, getting two single mattress might be the better choice. You can put two such mattresses side by side together and you each have the bed that you want. Although this may not be too great relationship-wise, it may end up benefitting a couple eventually because each partner can get the quality sleep that they want or need from the pocket mattress they prefer, and they’ll be happier when they wake up.